In Episode 2 we welcome animator David ‘Swatpaz’ Ferguson to the show. For about as long as there’s been a YouTube to post them to, Davey has been putting hilarious animations with an unapologetically Glaswegian accent online. With a distinct visual style and surreal sense of humour he drew the attention of YouTube heavy hitters like Rhett & Link and Frederator Studios. 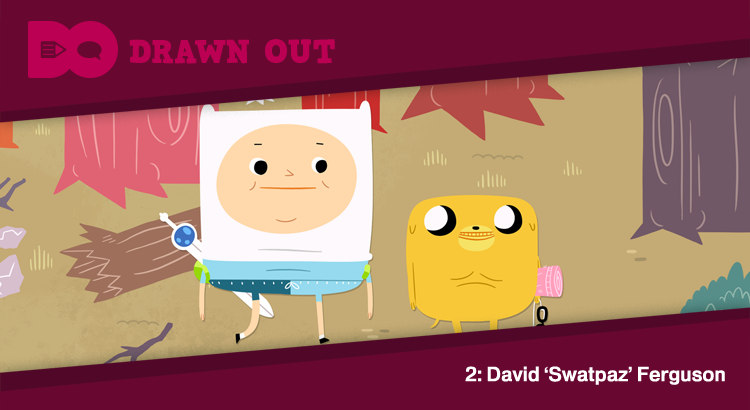 This led to Davey being one of only a handful of animators invited to write, design and direct a special ‘guest episode’ of Cartoon Network’s Adventure Time. In this episode we learn about his experience working on one of the world’s most popular TV shows, all without leaving his house. We also discuss his other work and characters along with a look at how his Adventure Time opportunity arose. You can subscribe to Drawn Out in iTunes, Pocket Casts, TuneIn, Stitcher or via your usual podcast app.